Kenneth Rijock's Financial Crime Blog: WHO SAYS THE UNITED STATES IS NOT GOING AFTER CORRUPT CARIBBEAN OFFICIALS FOR BRIBERY ? WHO SAYS THE UNITED STATES IS NOT GOING AFTER CORRUPT CARIBBEAN OFFICIALS FOR BRIBERY ? There has been much made in the Caribbean of late about the alleged lack of interest, on the part of US law enforcement agencies, in the rampant corruption that occurs among many senior government officials that hold high public office in the East Caribbean states. Fortunately, there truly are pending investigations, and we recently have seen one emerge, when an Indictment was filed in US District Court in New York*. Inniss is a permanent resident of the US, living in Florida. Donville Inniss, the former Minister of Industry, and Member of Parliament, in Barbados, was charged with Conspiracy to Commit Money Laundering, and Money Laundering. Inniss accepted bribes totalling $36,000 from a Bermuda-based insurance company, after which he approved a renewal of insurance contracts. The US nexus occurred when Inniss laundered the bribes through a third company in the State of New York, showing them as "consulting contracts." Readers who wish to review the complete text of the Indictment may access it here. Go to the EDNY page on the link, and download the Indictment under "attachment." 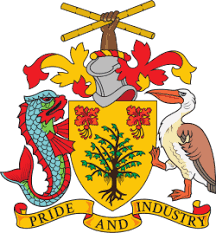 The penalty for violations of the Barbados Prevention of Corruption Act is sadly only a misdemeanor, meaning less than one year of incarceration, but the Federal penalties for the three money laundering changes could result in decades of inprisonment in the United States for the former minister. Let's hope the East Caribbean politicians all get the message loud and clear. * United States vs. Donville Inniss, Case No. 18-cr-00134 (EDNY).